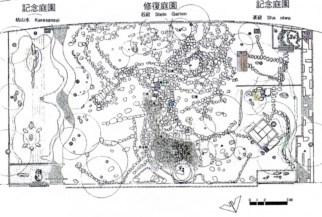 資料出典および備考: 1) 戸田芳樹（1999）：シェーンブルン宮殿の日本庭園、Landscape Design 18：マルモ出版，pp80-81，pp84-85. 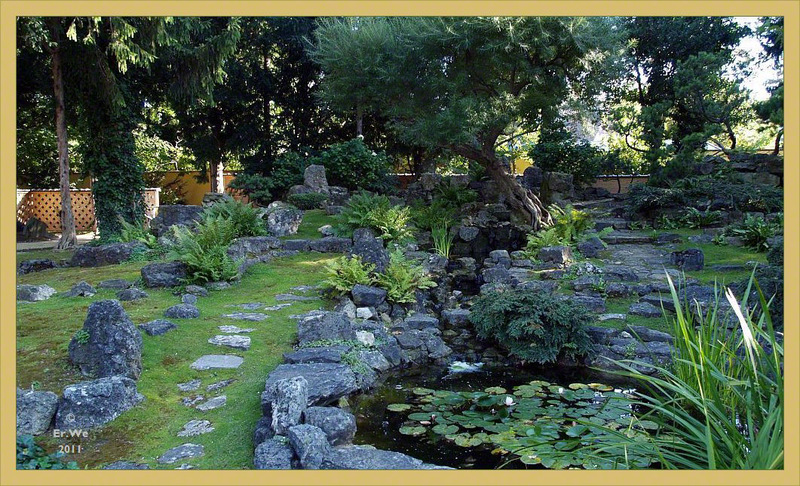 This Edo-era-style Japanese garden was constructed by gardeners at the Schönbrunn Palace in 1913, when Crown Prince Fernando granted permission to build a Japanese garden on the palace grounds. 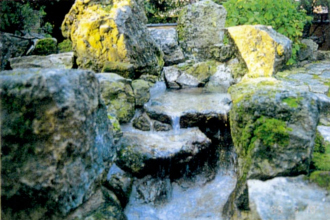 It is assumed that the chief gardener, Hafker, was in charge of public information and the technical side as the business manager, while Tichy, a builder, did all of the practical work. The First World War broke out just after the original garden was completed, and the Hapsburg family rein ended with the defeat of the Austrian Empire in 1918. 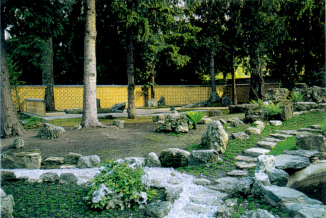 Due to the devastation that followed, the garden, later called a Tirol-style rock garden, was buried until 1997; as the ground was covered with ivy, the stones were not visible. 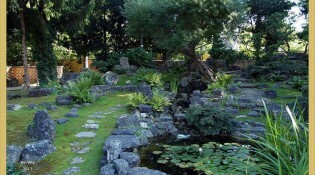 In 1999, the original garden was renovated into a stone garden and a tea garden, and a new section of Japanese garden was added. 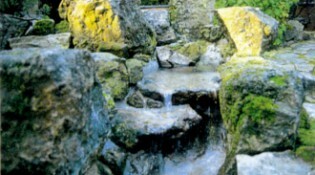 Various Japanese-influenced designs such as triad stones, stepping stone paths and water basins appeared in the original garden; it also contained elements typical of the rock gardens at Wisley in England, such as stone walls, a natural stream and a sloped walking path with a gentle incline. This mix of Japanese and English garden styles resulted in some unusual shapes; the renovation left the Japanese elements intact. 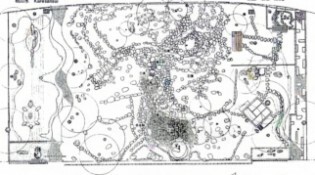 The renovation team (Naka Takahiro managed the excavation and renovation, Toda Yoshiki designed the new sections, and Oguchi Motomi managed the construction) used existing photographs from 1913 to bring the garden as near to its original form as possible. 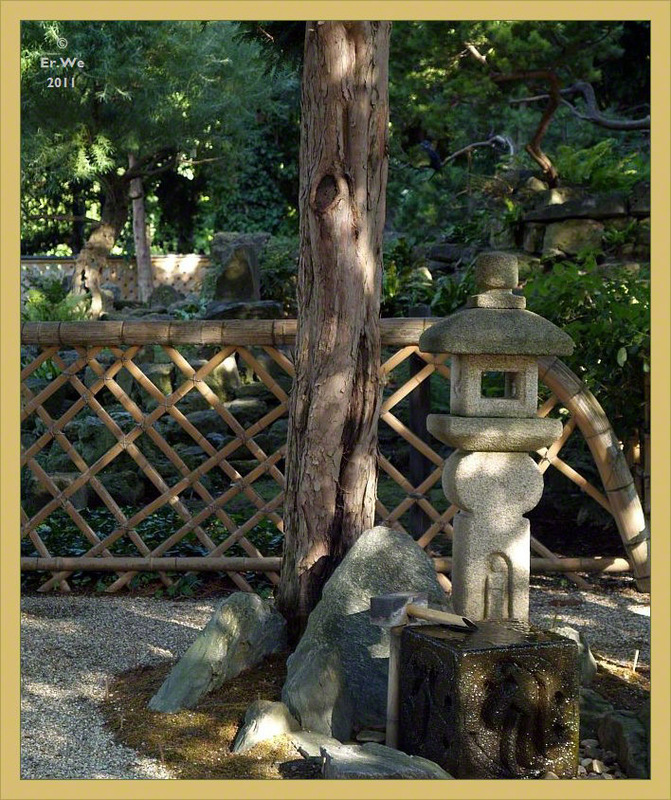 For areas where photographs were not available, they tried to maintain the Japanese garden style. 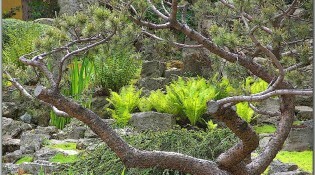 The new sections, which were built on either side of the original garden, are a dry garden and a tea garden. 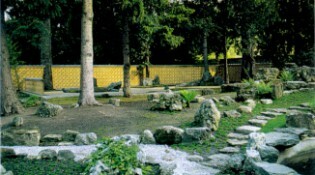 The dry garden, called the “Blessing Garden,” contains various symbols of goodwill between Japan and Austria. The numbers three, five and seven, which are considered auspicious, were chosen for the stone arrangements. There is a tortoise island on the left side, a crane island on the right, and a Horai Island in the middle. The atmosphere of the entrance to the tea garden from the zoo was enhanced with a Kenninji hedge that acts as a gate. Stepping stones were installed at the gate, along with a bench. 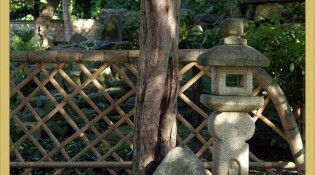 A bamboo lattice border was added to the inner tea garden, along with a crouching basin arrangement, Oribe lanterns and a keystone. 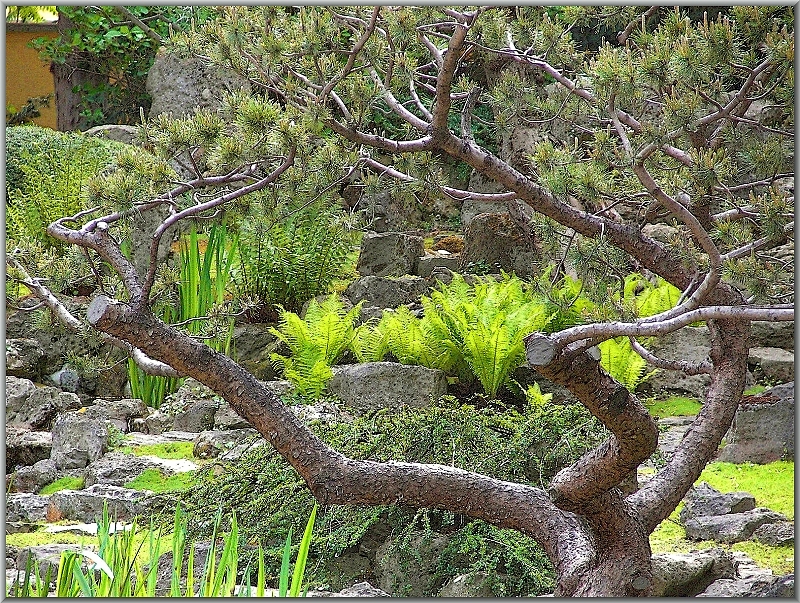 Although each of these three sections has a distinct style, they were designed to be viewed as continuous scenery, unifying the landscape of the entire garden.